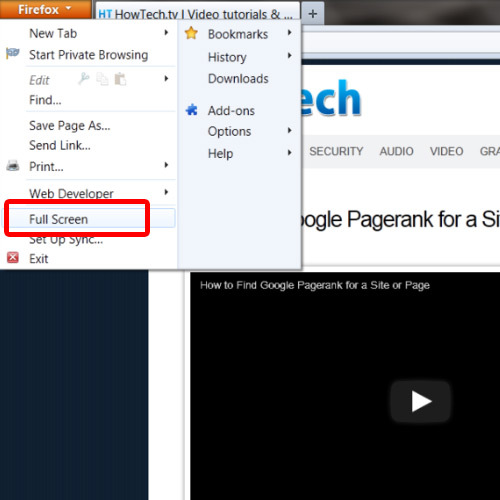 In this video, we will show you how to view web pages in full screen mode in Firefox. The full screen mode hides all the elements including the tabs, toolbars and the status bar. Knowing how to use the Full screen mode comes in handy when you want to read an article. You can even toggle fullscreen in firefox on and off by using shortcut keys. First of all, click on the “firefox” button available towards the top left corner of your screen. 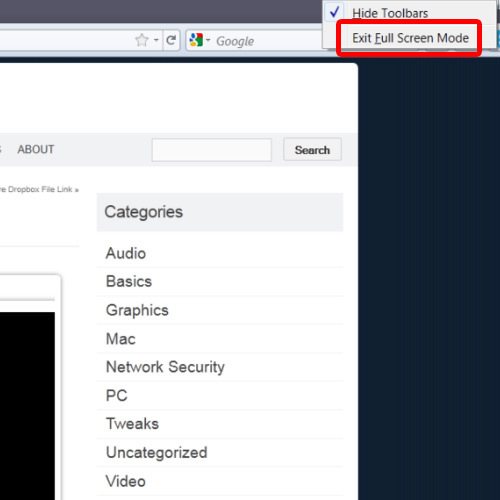 From the drop down menu, select the “full screen” option to enable the full screen mode in firefox. You will be able to view the website in full screen mode. Now you can open up a web page or an online article that you want to read. Once you are done with the article, go to the very top and right click on the tabs bar; select the “Exit Full Screen Mode” option from the drop down menu to exit fullscreen in firefox. There is another way you can enable or disable the full screen mode. Use the shortcut key “F11” to toggle the full screen mode on or off.